There are relatively few examples of English furniture in the Wallace Collection but one of the most important is this eighteenth-century, carved-giltwood armchair in the Kentian style. The chair, with its distinctive X-shaped front legs, is of the same model as four armchairs at Chatsworth House in Derbyshire. It is thought that these chairs were originally part of the same set and may have been designed by William Kent for Lord Burlington at Chiswick House in the 1720s. 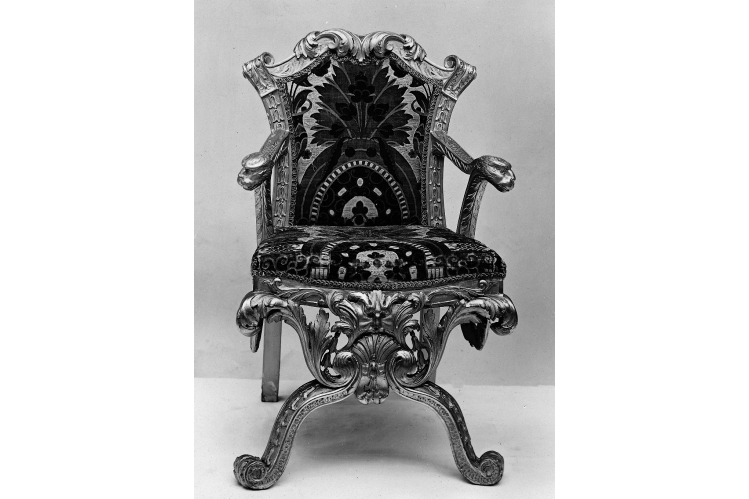 It is not known how this chair came into the Wallace Collection, but it was in the collection of Sir Richard Wallace by 1872 when it was exhibited at the Bethnal Green Exhibition. The chair’s current condition prohibits it from being on display. Although attempts have been made in the past to preserve the fragile carved and gilded surface of the frame, and the delicate sections of upholstery, the condition has since decayed still further. Urgent treatment is now required to stabilise the chair and conserve the remaining original material. Lost elements will be replaced and new upholstery added, and during the process of conservation we hope to discover more about the history of the object and the techniques of its makers. The armchair will then once again be exhibited as a vital document of eighteenth-century design and craftsmanship. 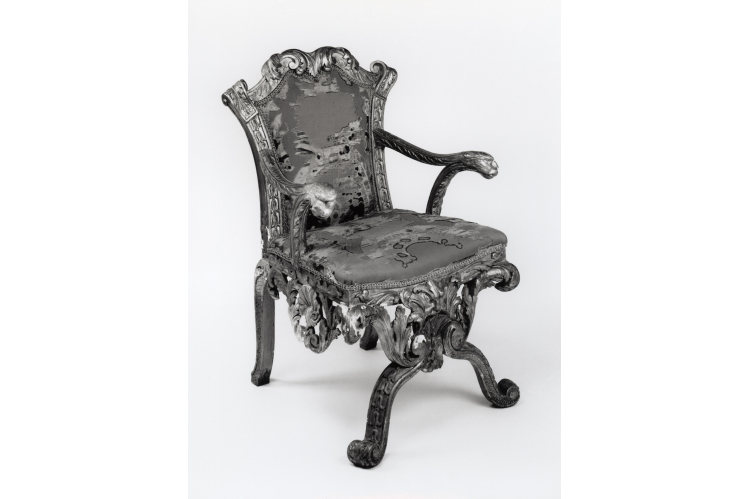 The chair is curently on view at the Wallace Collection as part of an appeal to raise the money needed. We need to raise £7000 to cover the full cost of this important treatment. With your help we can conserve the artwork for future generations.